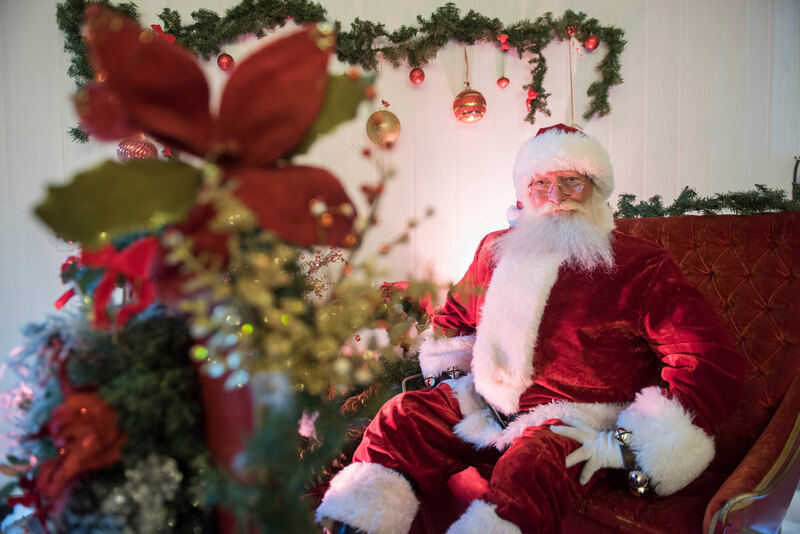 Looking for an opportunity to snap a few pictures with Santa? Bring your wish lists and cameras! Santa is on site and we encourage selfies. 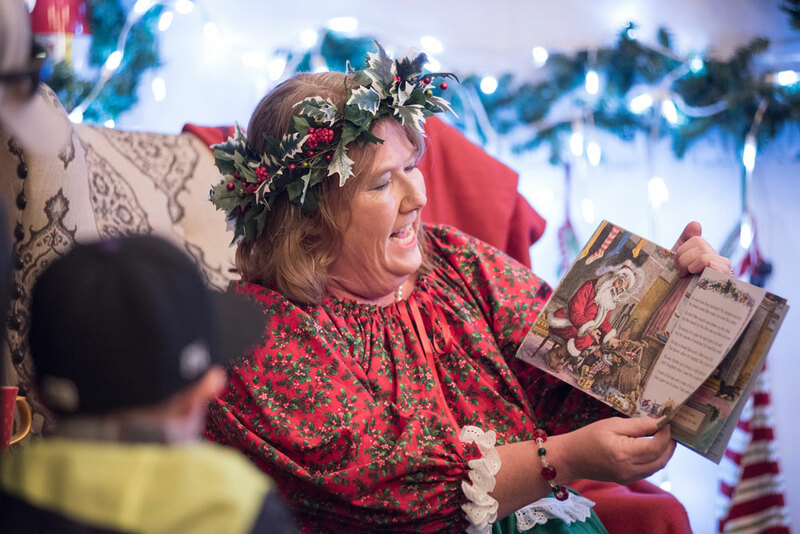 From Christmas sing-alongs to holiday story time, getting to know Mrs. Claus is sure to be a highlight of your visit. Two of Santa’s reindeer make special appearances each night by the Green Farm Barn. Stop by and say hello to Santa’s faithful flyers. 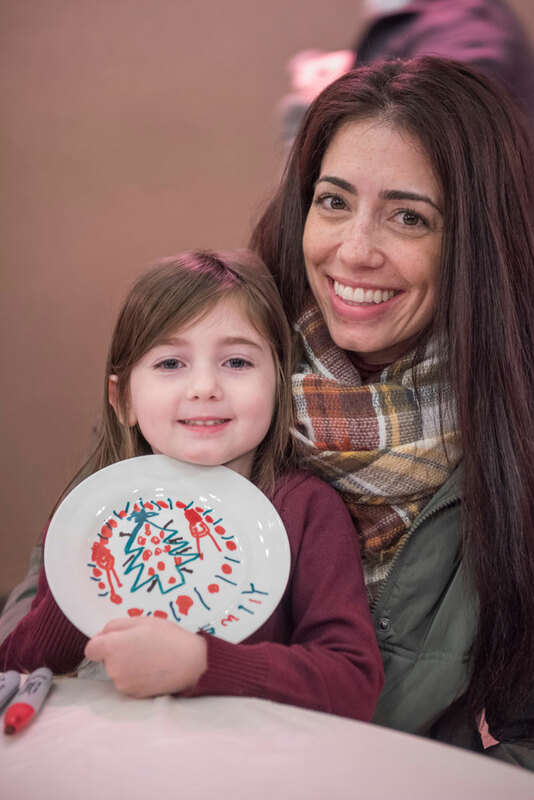 While you are at the Green Farm Barn, take the children in your group to our kids’ craft area where they can decorate a cookie plate for Santa. These plates are sure to be a treasured keepsake for years to come! 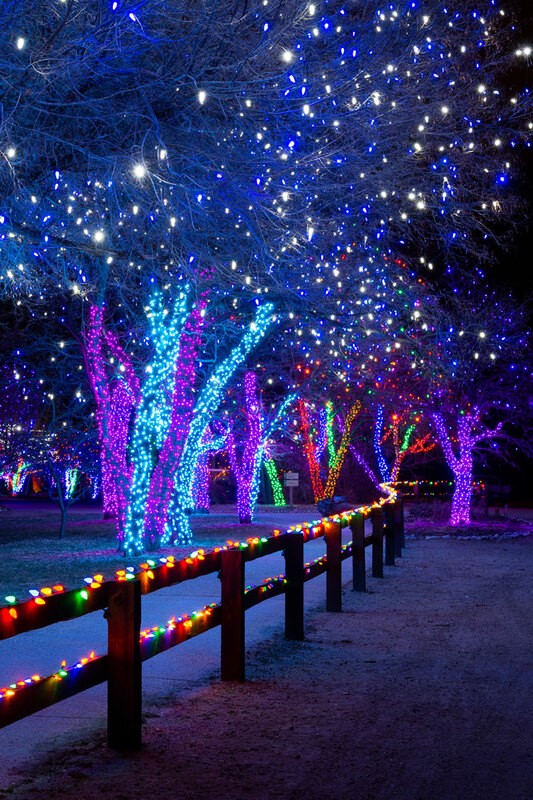 Santa’s Village is home to over 100,000 twinkling lights! 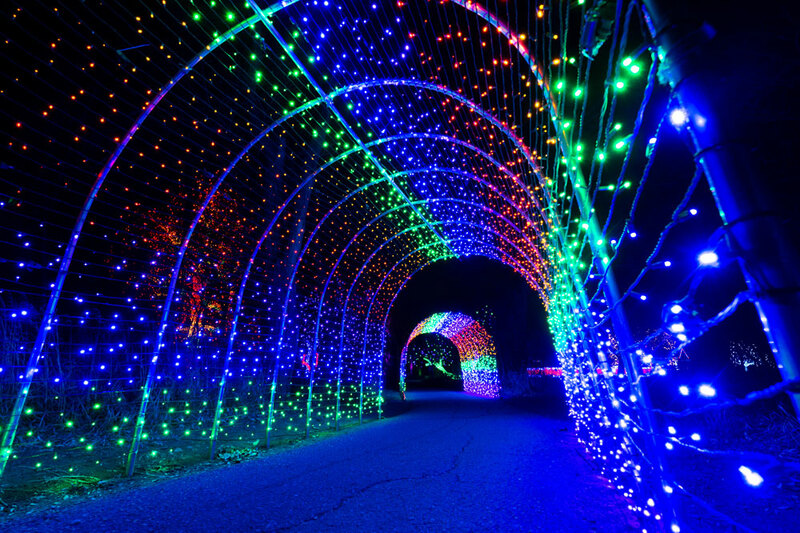 Come see the festive displays and cornucopias of color that cover over 30 acres. We’d love to see your personal photos on social media! Use #BlossomsofLight when you post. We have two hayride options this year – tractor-drawn and horse-drawn. 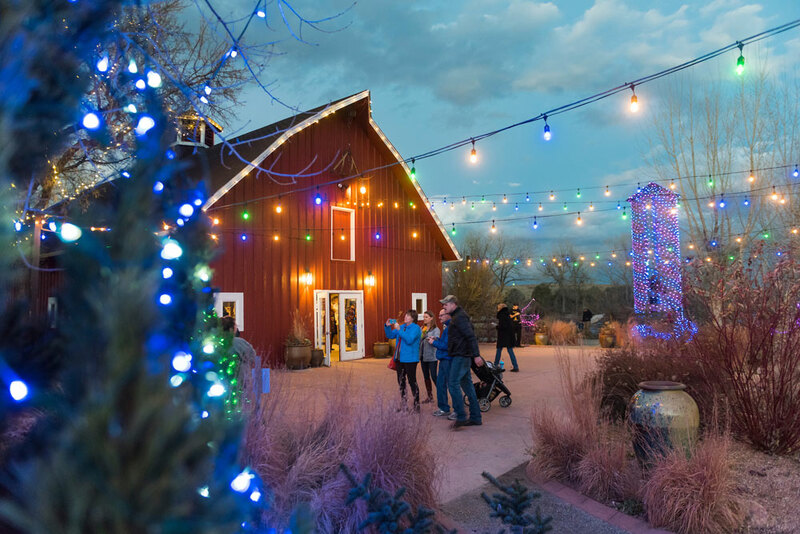 The tractor-drawn hayride runs between the historical Hildebrand Ranch House (which is open to tour) and the Yurt (which houses Santa’s Cinema). The horse-drawn hayride picks up and drops off near the Green Farm Barn. Be sure to stop by our letter writing station as well. 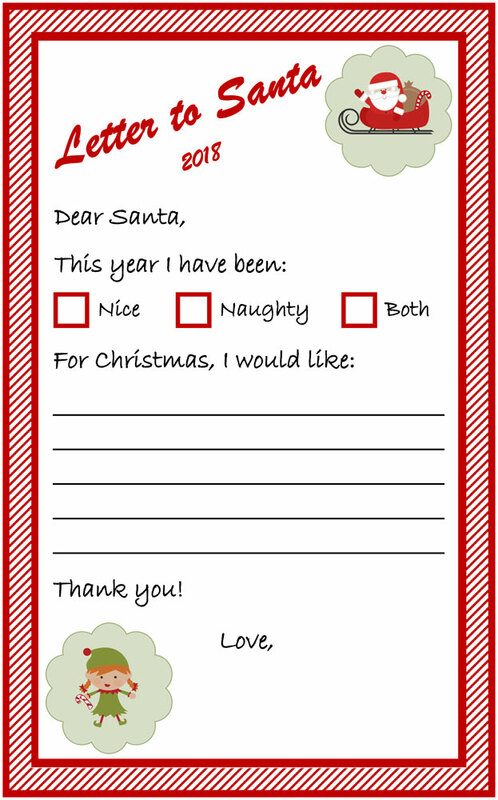 We provide the letter templates and pens – you provide the Christmas wishes. Once your letter is complete, you can choose to mail it in our Santa mailbox or take it home. Take a walk down Elf Boulevard and see the elves’ schoolhouse, firehouse, homes and post office where you can mail your letter to Santa. You can even step inside one of the magical elf houses where Santa’s diligent little workers live. 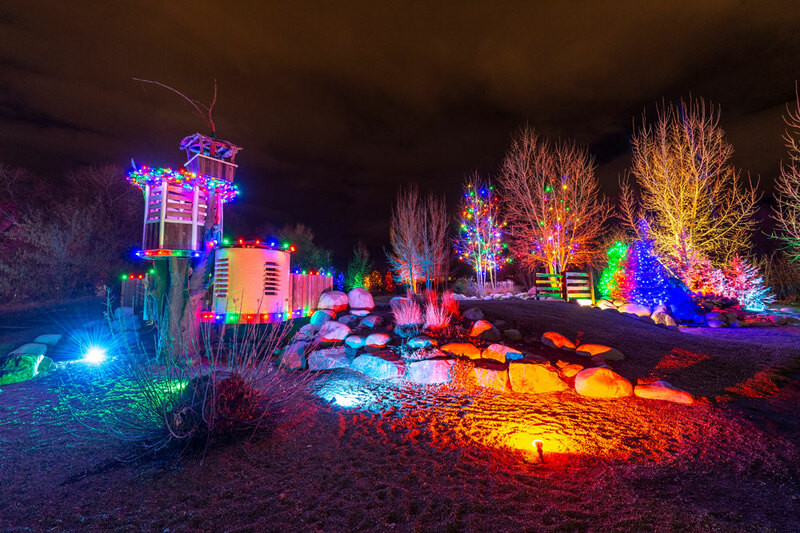 Take a few minutes before or after your tractor-drawn hayride to visit the Yurt, where Christmas-inspired movie clips are screening. The Hildebrand Ranch House is one of the area’s original homesteading sites. You can walk through this house built in the early 1860s and talk with one of our skilled docents about what Christmas and life were like over a century ago. In addition to all the activities included in the price of admission, there are craft and food vendors on site with items for purchase. 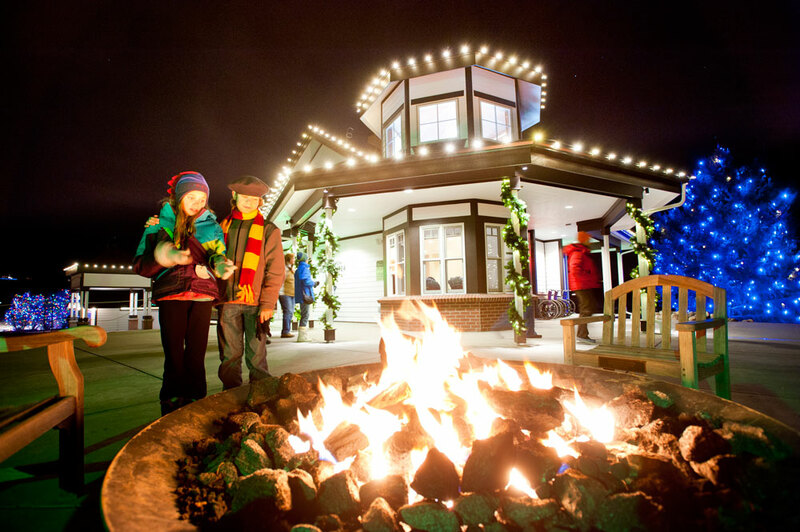 Santa’s Village is open Fridays, Saturdays and Sundays through Dec. 23, 4:30-8:30 p.m. (last admission 7:30 p.m.). Advance purchase is recommended to ensure admittance on your desired date.